Japan is becoming increasingly uncomfortable with China, its powerful and often aggressive neighbour. Although the two countries have sought to improve relations and find common ground over a daunting range of disagreements relating to everything from borders to Japanese actions during World War II, not much concrete progress has actually been made towards improving ties. Instead, Japan has found itself on the defensive as China has rapidly upgraded the capabilities of its military. The Chinese Navy is increasingly capable and developing nuclear submarines and ballistic missiles. China is also developing fifth-generation aircraft that could be a match for the US F-35 — a plane that Japan is seeking to purchase. Worried about finding itself on the defensive, Tokyo has signaled it will purchase billions in American-made aircraft, drones, and amphibious assault vehicles in an attempt to keep pace with Beijing’s rapidly growing arsenal and protect the territorial integrity of Japan’s outer islands. Here are some of the proposed purchases Japan will make under its five-year National Defence Program Guidelines for fiscal year 2014 and beyond. Northrup Grumman’s E-2D Advanced Hawkeye is set to becomeJapan’s nextearly warning and communications aircraft. 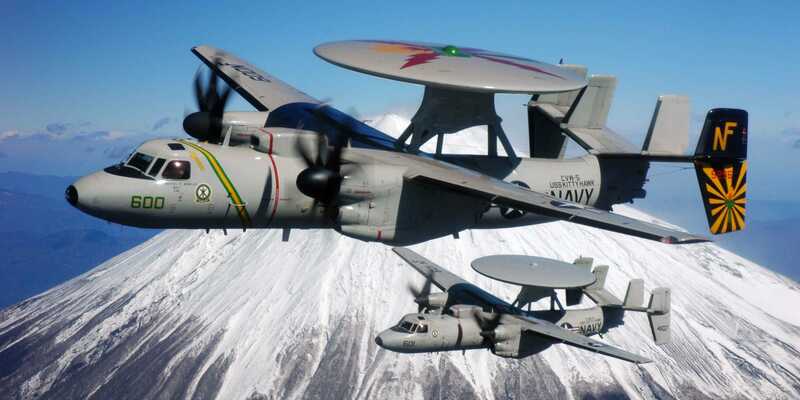 The Advanced Hawkeye features a radio suite, satellite communications capabilities, and a flight management system that could function as a makeshift air traffic control tower. The Hawkeye can also conduct sea and land surveillance and provide early warning for enemy aircraft and anti-ship missile attacks. Japan plans to have four E-2Ds by the end of the 2019 fiscal year. They will likely help Japan keep an eye on disputed maritime territories that China also claims. Japan hassignaledthat it will purchase as many as 17 tilt-rotor aircraft by 2018. The Defence Ministry has announced that the Boeing MV-22 Osprey will be their airframe of choice and that the first Osprey should be delivered by 2015. The Osprey has been selected due to its capacity, speed, and versatility. It will be used in both defensive operations and disaster relief. The Osprey is the airframe of choice for the US Marine Corps, and a number of V-22s have been permanently stationed at the US Marine Corps base in Okinawa. Japan will purchase three Northrup Grumman Global Hawk unarmed drones. The drones are used for surveillance and security measures, and it can cover as much as 40,000 square miles of terrain a day. 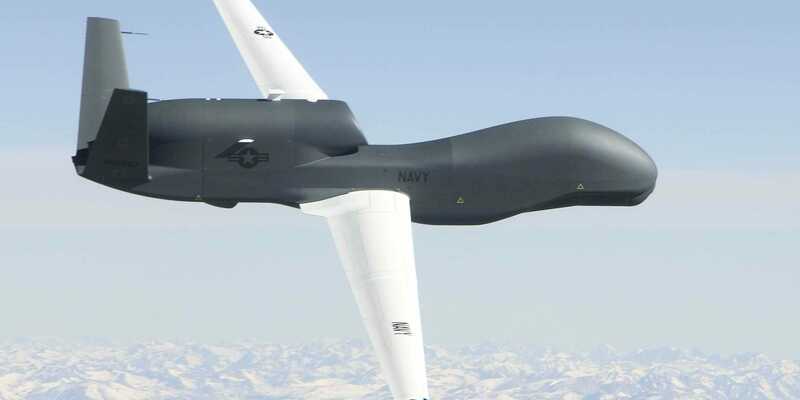 The Global Hawk will help Japan better police its islands against possible Chinese action while also being able to keep an eye on North Korean missile tests. 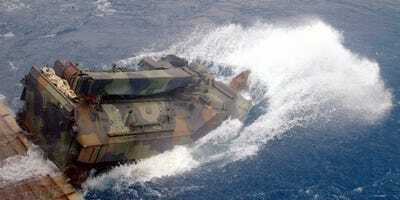 Over the next two years, the Japanese Ministry of Defence has plans topurchase52 BAE Systems AAV7A1 amphibious vehicles. These landing craft will function alongside a projected Amphibious Rapid Deployment Brigade within Japan’s Ground Self-Defence Force. The vehicles will function as a rapid response unit that could be deployed to Japan’s outer islands in the event of a military encounter. 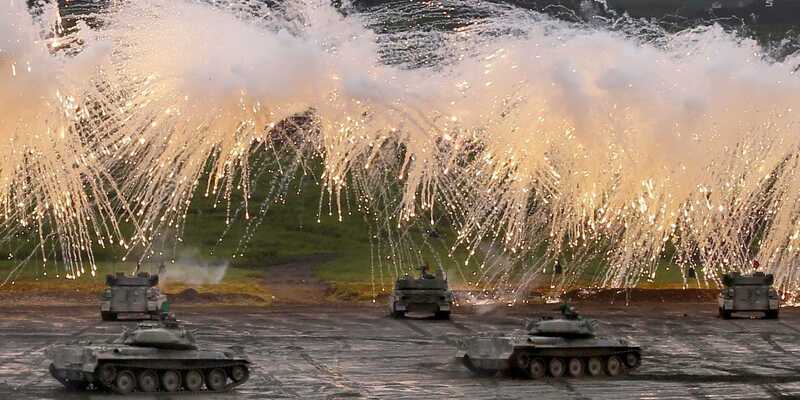 The Japanese are already familiar with the AAV7A1, since its Western Army Infantry Regiment has trained on the vehicles alongside the US Marine Corps for a decade.